Do you ever find yourself craving the sweet, savory unctuousness of caramelized onions? I do. 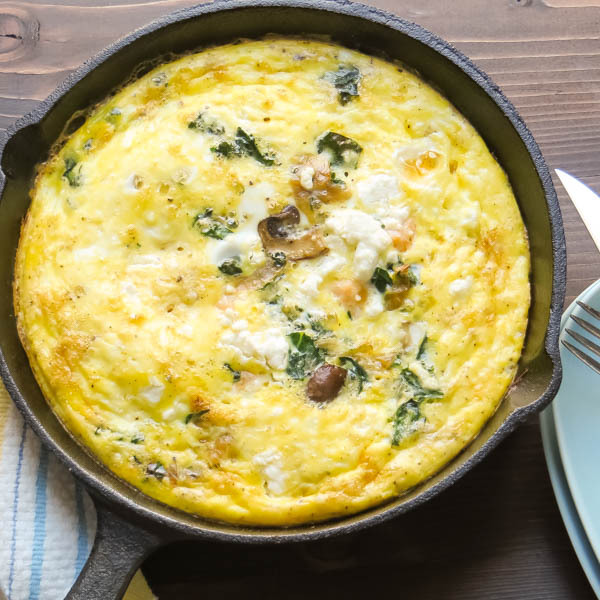 Part of it is their versatility — I use them in everything from breakfast frittatas to casseroles or as the crowning glory on a dish of haricots vert. But if I’m honest, it’s the flavor — that slightly honeyed jamminess in every spoonful that makes me want more and if you’ve never made them before, here’s a simple guide on How To Caramelize Onions. First, you’ll need some onions (I used 5-pounds for this batch). Standard yellow onions are best. Save your vidalias, white onions and red for your burgers or pico de gallo. Slice the onions into quarter-inch rounds. Heat a large heavy bottomed pot with a lid (I prefer a dutch oven) over medium heat with a little olive oil and add the onions. Toss the onions in the oil to coat and cook for about five minutes. You don’t want to brown the onions, so adjust your heat if it seems too hot. Sprinkle with a little salt, cover tightly and slowly sweat the onions. Witness the metamorphosis. It’s nothing short of amazing. This process isn’t difficult or labor intensive – you just have to be on hand for stirring the veg and monitoring the pot for hot spots — adjusting the heat when necessary. Now, I’ve seen recipes for this with a “set it and forget it” mantra. “Slow-cooker” caramelized onions and “cooked in the oven” options, but I have doubts about the level of real caramelizing that goes on. I mean, sure — they’ll soften and reduce down. They’ll even give up their liquid. But, in my humble opinion, to achieve the Maillard reaction that transforms these eye-stinging rings into the golden hued, barely held together, strands of mild sweetness that I’m looking for, requires two things. A sturdy dutch oven and patience. You’re efforts will be rewarded with this satisfying, ready-for-anything condiment. They are great on top of a juicy burger or tossed with blanched green beans as a special side dish. Caramelized onions are delicious with a roast chicken and they’re mandatory for salisbury steak! To save yourself some time at the last minute, make a large batch of onions and then freeze them in 1/4 or 1/2 cup containers, that way, you’ve always got them on hand when the mood strikes. Always keep caramelized onions on hand by making them in large batches and freezing in 1/4 cup or 1/2 cup containers. I’ve tried to caramelize onions once before but it was a disaster. Thanks to your recipe, this task seems so manageable! Does this goes only for yellow onions or I can use also white ones? I’ve never done it with white onions, but I don’t see why it wouldn’t work with them as well. You could probably use red onions as well. I can eat this whole pot with a spoon! Wow! I had no idea! I would probably put a spoon in this and eat it straight up! Learning how to properly caramelize onions was a game changer for me in the kitchen. I love to do it on fall days. And you’re right – low and slow is best! I’ve honestly never frozen them before. Do they retain their yumminess? I do love the rich flavors that are pulled from caramelized onions. They can make a simple dish absolutely fabulous. I have never made them in advance and frozen them, hadn’t even thought about it… great idea. I try to save time whenever I can! This looks mouthwatering! I have the Dutch oven and can get the onions, just need the patience. I can’t wait to make these. Maybe tonight! What a great idea to make them ahead of time and freeze.